Promote a climate of trust, academic growth, and positive behavior by launching each school day with a whole class gathering. This comprehensive, user-friendly book shows you how to hold Responsive Classroom Morning Meetings, a powerful teaching tool used by hundreds of thousands of teachers in K-8 schools. Guidance on adapting meeting components for different ages and abilities, including upper grades and English Language Learners. 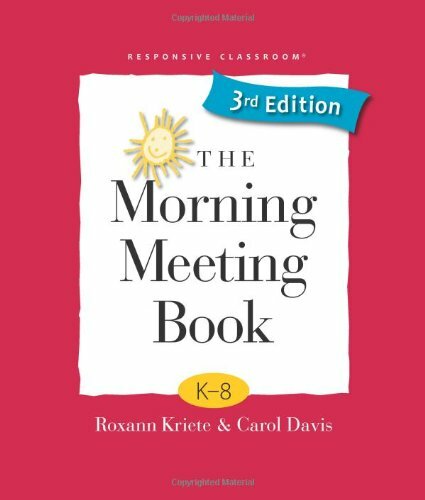 Explanations of how Morning Meeting supports mastery of Common Core State Standards, 21st century skills, and core competencies enumerated by the Collaborative for Academic, Social and Emotional Learning (CASEL).